Preserved examples of the British Railways (Western Region) short lived Class 14s, along with Hymeks, Warships and Westerns. Also includes the WR prototype A1A-A1A 2500hp gas turbine locomotive no. 18000. Didcot's newly acquired Class 14 no. 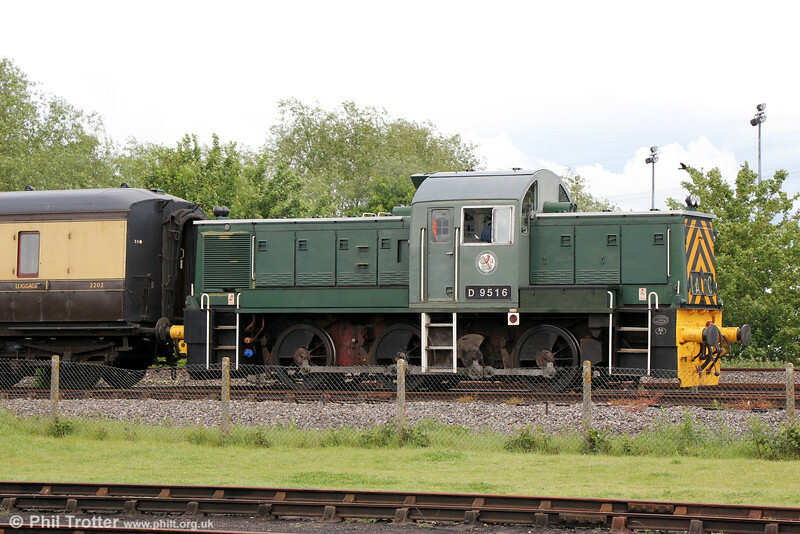 D9516 on the running line on 24th May 2014.